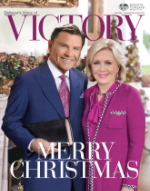 by Gloria Copeland Wouldn’t it be great if our faith always produced instantly visible results? Wouldn’t it be fun if we could pray once for a great marriage and…snap, it happened? Instead of heated arguments, cold silences, constant frustration and enduring anger, our marriages were loving, kind, peaceful, joyful and mutually fulfilling? But that’s not always the case. If you’re struggling in your marriage, begin putting these principles to work today. Help Your Marriage by Trusting in the Lord Psalm 111:10 says, “Fear of the Lord is the foundation of true wisdom. All who obey his commandments will grow in wisdom.” As you begin to repair and rebuild your marriage, commit to follow God’s ways. Understand that His ways are best and the only way to a fulfilling marriage. To discover His ways, begin studying your Bible. Constantly think about how its truths pertain to you and your marriage. 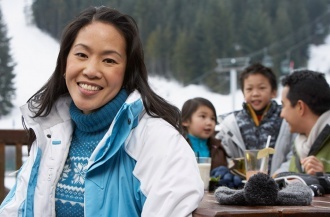 Help Your Marriage by Listening to Trusted Counselors Proverbs 11:14 says, “Without wise leadership, a nation falls; there is safety in having many advisers.” To rebuild a marriage to be healthy and nourishing, you may need to learn a thing or two. Begin seeking out counsel from trusted marriage teachers like Creflo Dollar and Jimmy Evans (or Marriage Today). Read books like His Needs, Her Needs: Building an Affair-Proof Marriage by Williard F. Harley, Jr., The Five Love Languages by Gary Chapman or Sheet Music: Uncovering the Secrets to Sexual Intimacy in Marriage by Kevin Leman. Help Your Marriage by Surrounding Yourself With Good Marriages Proverbs 13:20 says, “Walk with the wise and become wise; associate with fools and get in trouble.” A recent study found that when you surround yourself with divorced friends, you are as much as 147% more likely to get divorced yourself. Instead of complaining about your spouse to a divorced friend or family member, connect with Spirit-led believers who will stand with you and encourage you in your marriage. Look for couples who have strong, loving marriages and befriend them. Don’t know any? Call KCM’s prayer line (+27 11 699 7700) for prayer or search KCM’s Partner Community to find some. Help Your Marriage by Developing Patience Hebrews 12:1 says that we should “run with patience the race that is set before us.” Patience is a fruit of the spirit we all received when we were born again (Galatians 5:22). It’s the spiritual force that keeps us in the race until we cross the finish line. Patience empowers you to hold on to your marriage no matter how long it takes to come to pass. It keeps you standing in faith until your marriage is “perfect and complete, lacking nothing” (James 1:4). Help Your Marriage by Learning How to Communicate Effectively Proverbs 15:1 says, “A gentle answer deflects anger, but harsh words make tempers flare.” Learn how to communicate effectively without angry attacks, shouting matches or accusations. Begin to put the Golden Rule into effect and treat your spouse the way you want to be treated—with respect and kindness. If you need help learning how to do that, check out Covenant Marriage: Building Communication and Intimacy by Gary Chapman. God wants to help your marriage become strong, healthy and loving. He loves you and wants your marriage to honor Him and be mutually nourishing to you and your spouse. Begin putting these steps into practice as you study His Word and pray, believing for the Holy Spirit to guide you every step of the way!